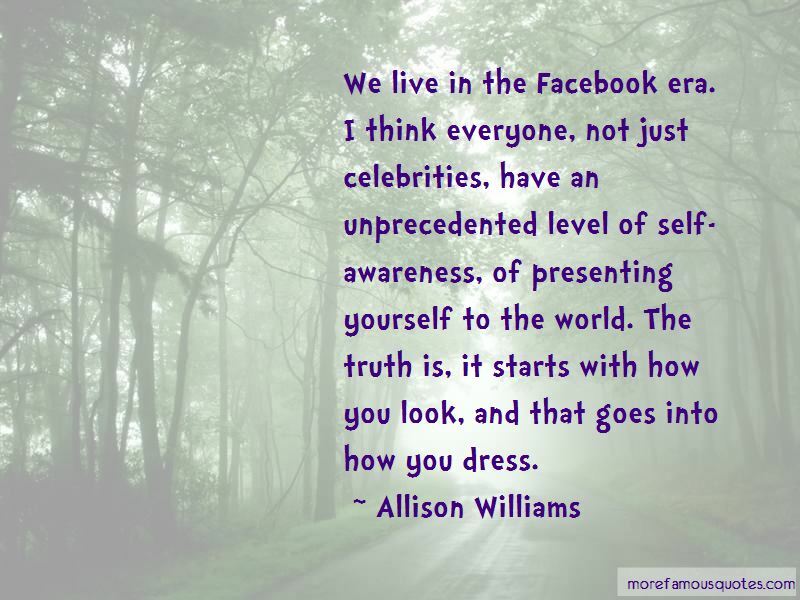 Enjoy the top 56 famous quotes, sayings and quotations by Allison Williams. I'm a big Aqua fan. 'Barbie Girl' was a big deal growing up. When I graduated from college in early 2010, I decided that I needed to create a calling card, some kind of business card that people can link to my name and face. So I did this 'Mad Men Theme Song ... With a Twist' music video. I released it just as I moved to L.A. 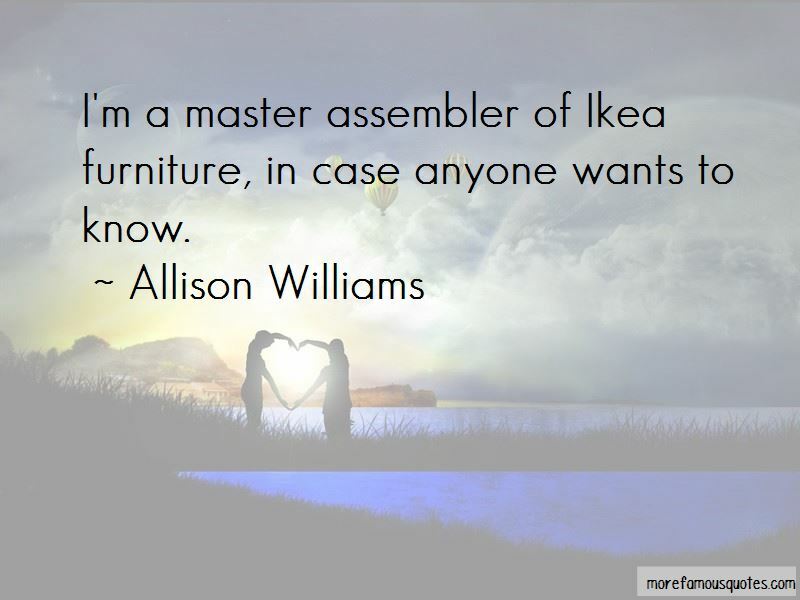 I'm a master assembler of Ikea furniture, in case anyone wants to know. I think I've always had that bird's-eye view of myself. I think it's an actor trait ... Sometimes it's best just to get lost out there, but other times you have to be aware of where the light's hitting you. I would prefer to keep my clothes on. Unless there's a brisk breeze or something, I tend to keep them on. Actors are like Swiss Army knives - we're ready to use any lever at any moment. But I learned long ago that, unfortunately, this industry only sees the one thing sticking out that they know us from, and that's the only thing they can imagine. I can rap. Not openly in the world, but it's important that people know! I can rap for a very specific reason, which is that in college I was in an improv comedy group, and we did musical improv. I definitely hand myself over to the hair and makeup gods of 'Girls.' Our look on the show is very specific, and it's different from mine in real life, although I've definitely learned things from working with both the hair and makeup people for the show. I invested in a blow-dryer. I do a very simple blow out that I've gotten quite good at. I'm ambidextrous. I often wonder why people's hair looks lopsided. It's because it's hard to reach both sides of your hair. 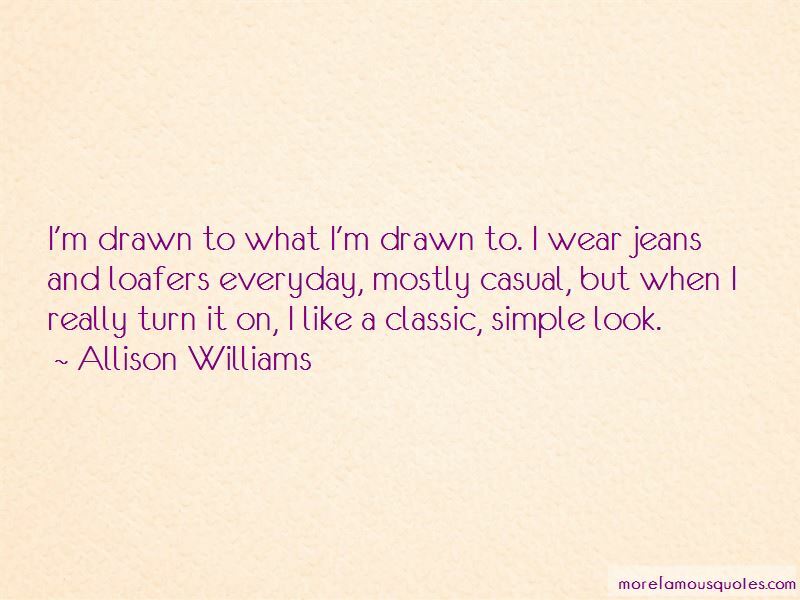 Want to see more pictures of Allison Williams quotes? 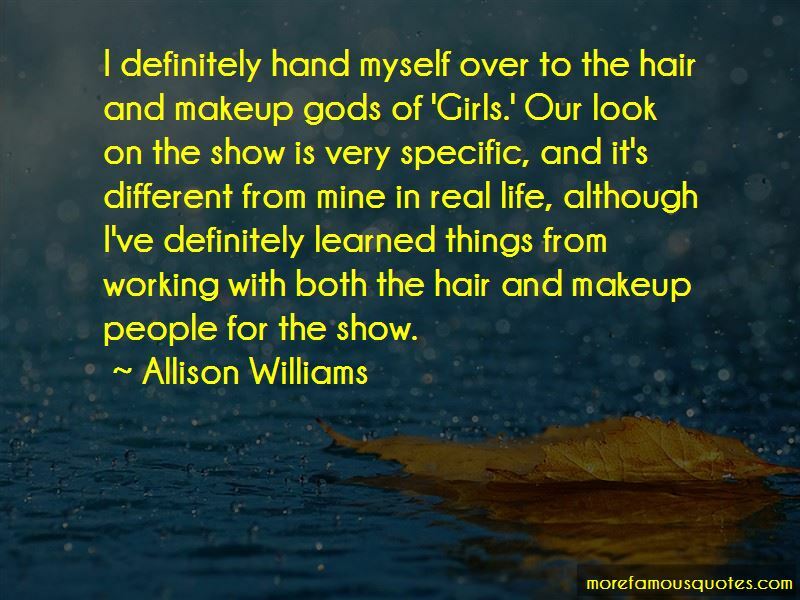 Click on image of Allison Williams quotes to view full size.